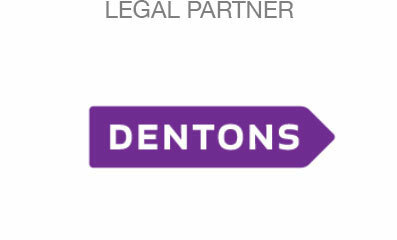 Place: Dentons Office, 1221 Avenue of The Americas, 24th floor, New York, NY 10020-1089, U.S. 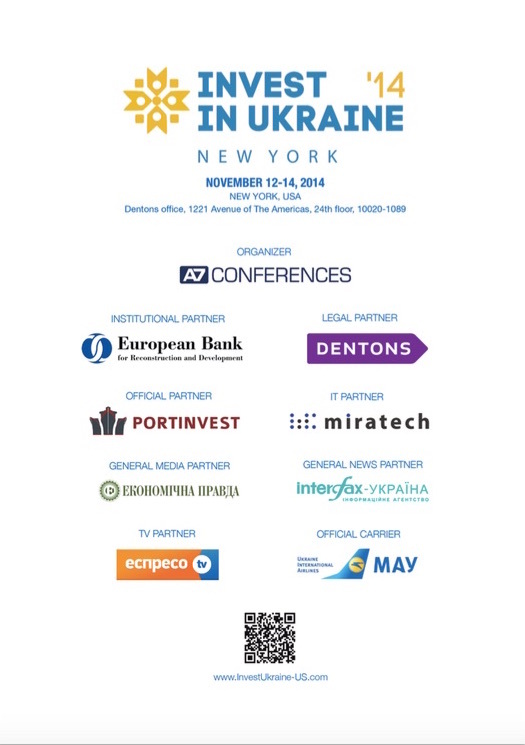 Following the successful “Invest in Ukraine” conference on June 2013 in New York and in September 2014 in London and Frankfurt A7 CONFERENCES hosted the unique international investment forum “Invest in Ukraine” in New York. The event was the first public conference on investing in the Ukraine following the parliament elections as well as the signing of ceasefire agreement. Being the largest country in Europe, Ukraine has remarkable investment and trade opportunities. The mission of the Invest in Ukraine New York is to reveal them to the U.S. market. By attending the conference you will meet and network with more than 30 CEOs of Ukrainian companies, understand the macroeconomic outlook on the Ukraine, exchange ideas with more than 50 current and potential public and private equity investors into Ukraine, and find new partners and customers for your products. Target audience: only C-suite representatives of Ukrainian companies, foreign investors, leading media sources, senior government and public organisations representatives. The consolidated half of the net profit from a series of international conferences “Invest in Ukraine” in London, Frankfurt and New York will be directed to the charities in the Eastern Ukraine. Supported in USA by NYSSA and Center for US Ukrainian Relations. Institutional Partner is European Bank for Reconstruction and Development, General Legal Partner is Dentons, Official Partner is PORTINVEST Holding, IT Partner is Miratech, and an Official Carrier is Ukraine International Airlines. Ukrainska Pravda and Economic Pravda – General media partners, TV Partner is Espreso.TV, Interfax-Ukraine is the General news partner. Among the media partners are KyivPost, Obozrevatel.net, Apostrophe, Fixygen, Commercial Property, Financial Director, Ukrainian Journal of Business Law, Platfor.ma, Oil&Gas, InVenture. 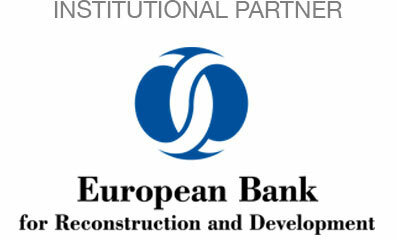 Informational partner is European Business Association in Ukraine. The event is supported by American Chamber of Commerce in Ukraine, Ukrainian Association of Investment Business, Centre for Transport Strategies, Ukrainian Retail Association, NovaUkraine, RAZOM for Ukraine, Kyiv-Mohyla Business School, and Kyiv School of Economics. Number of participants: 100 persons. Online broadcasting will be available. Languages: English and Ukrainian (simultaneous translation only for the online broadcasting).